One of the many services we offer is Enclosed Transportation. 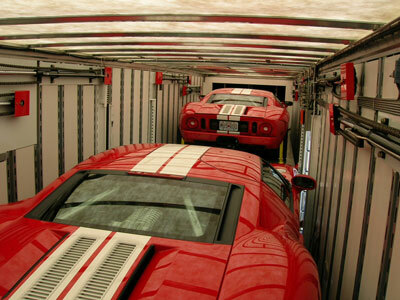 Western Auto Transport is a full service enclosed automobile carrier servicing the continental 48 states. With a terminal in Colorado, (a shipping midpoint) it gives us quick response to our service areas. Our drivers are the key with attention to detail and ensuring your valued vehicle arrives in the same condition we pick it up. 24/7 communication with office and also 1 on 1 communication with the driver hauling your vehicle is what we provide for our customers. Customer Service is what you want when you call an Enclosed Transporter, and that is what we deliver! TRUCKS – Western Dist. has some of the best maintained, best looking, and the newest trucks on the road out there today, and our Enclosed Transport division is no exception. All our trucks are satellite tracked and we can tell you exactly where your car is at! 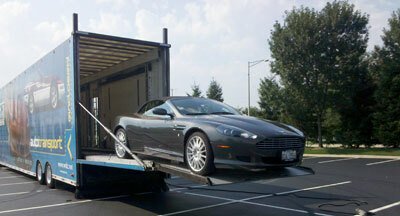 TRAILERS – are where all the work is done – no expense spared here to ensure your custom beauty is well taken care of. 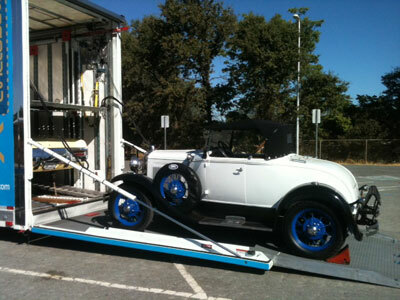 Our custom built trailers were designed to handle the cars of today. 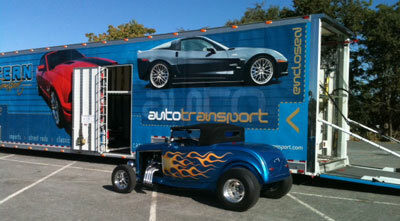 We have used our experiences with race cars and race trailers to help build some of the best trailers out there. Tie Downs – most of today’s cars do not have chain hooks – in fact, some have almost completely smooth under chassis. You must use wheel straps. Ground Clearance – is critical for many cars are 2-5” off the ground. Our rear doors are hydraulic and designed to tilt to any angle unlike chain doors. In addition our racks are on a chain/hydraulic system allowing full adjustment, top to bottom, at any angle. This means we can even load long limos, dragsters as we have the ability to move our racks to whatever the load angle needs to be. It also gives more clearance width wise for cars inside as the hydraulic rams are overhead. Modern Vehicle Air Ride Systems are not designed to be tied down as they will resist and adjust to any ratcheting down of the chassis. Wheel straps again are the only way to avoid these problems. Suspensions - most cannot be strapped or chained to in any manner, some of those parts are lightweight yet strong but not designed to be pulled on from other directions. Strapping/hooking onto to these parts will cause very costly damage and downtime to your car. Experienced drivers in the field is what we provide and will avoid these mistakes. Deep bellied trailers – these help handle those SUV’s and avoid you having to pay for 2 spaces because you like your Escalade! Cordless remotes – so that drivers can maneuver ramps with the least amount of entry and exit on your vehicle avoiding possible chance of a door getting nicked. In addition each car is covered in plastic, seat covers, steering wheel covers, and floor mats are used on all vehicles. From our top quality drivers, to our office staff, they all have knowledge on how to haul show quality cars and how to take care of them. Most of all, they care! Quotes are available 24/7 and VISA, MasterCard, and American Express are accepted for ease of payment. We also have 200 other fleet trucks that are in all parts of the country so availability should never be an issue. Those 200 trucks have temperature controlled trailers should you wish to have your vehicle maintained at a certain temperature. If you need high security we can provide armored trucks with two armed guards to protect your high dollar ride. You need someone experienced, someone that knows what they're doing and you can trust and that’s Western Auto Transport! Give us a call!